Octo is a supplier of eco-friendly bulk packaging and has now gone live with ‘Star Flow’. The supply chain collaboration portal of Yellowstar has been developed to control order, contract and asset management. The portal enables Octo to track all of its packaging assets throughout the whole supply chain. At a local level warehousing and stock control is also supported by the ‘Star Flow’ software. Situated in the harbour of Rotterdam, Octo is growing rapidly with innovation and dynamism at its heart. 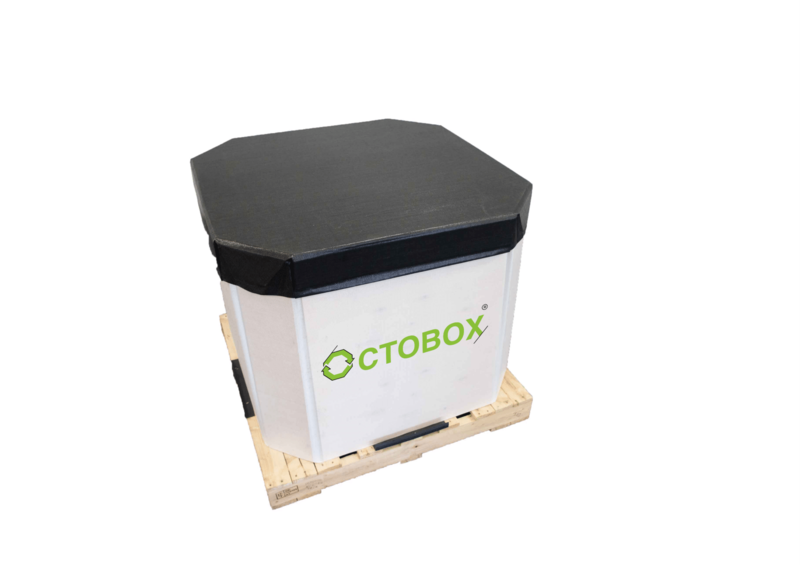 As a relatively new company its ideas on the handling and control of bulk packaging materials are novel and exciting with the Octobox at the centre of its development. 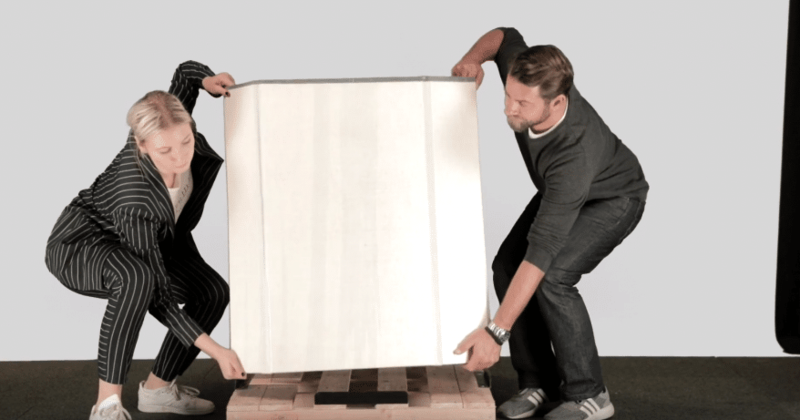 This eight-sided collapsible IBC is made from just plywood and polypropylene in a factory the group purchased in only November 2017. In one 40ft container 600 ‘flat packed’ Octobox units are delivered worldwide with Octo tasked with controlling these assets be they owned by the group or by third party clients. Being a returnable package, it is essential to track and trace each unit and the ‘Star Flow’ software facilitates and gives all parties involved a greater insight into the supply chain. Michelle Marsé is COO at Juice- Pack and she soon realized that Excel was not going to be suitable – “We are growing so rapidly the need for asset management software was paramount to our success’. Michelle continued to say ” Octo is now able to see where all their assets and customers assets are. Administration has been significantly reduced and clients are able to access the location, handling and movements of the Octobox. As we are also now moving into products outside the juice industry the pressure was on to find the proper solution and I think we have found it”. The COO of Octo also identified another advantage of Star Flow – contract management and control. Michelle Marsé commented “the system allows us to not only track contract completion but also the number of orders per contract, average turnaround time and asset tracking from the moment the shipment leaves until it is back into the warehouse. Furthermore, we now have an insight into the lifespan of our asset and the order time has been significantly reduced with the introduction of automatic document generation”. Speed of implementation was paramount to the success of this project – it had to be fast and tomorrow was not soon enough! Following an intense selection procedure in which several portals were considered it was Yellowstar’s ‘Star Flow’ that came out on top. The system is now providing Octo detailed supply chain information from the warehouse in Rotterdam, through its land and sea journey to the worldwide customers that the Octobox services. Michelle Marsé found the whole experience both exciting and challenging. “With a ‘going live’ target of only 2 months the pressure was on and we made it but not without some sleepless nights. We started by implementing the standard modules knowing we would have to develop and change the norm to fit our specific requirement. Yellowstar stepped up to the challenge and was the only supplier that could adapt to our stringent requirements”. Despite the time pressure the project was a complete success and the COO of Octo had only praise for Yellowstar – “It was very clear for us what we wanted to achieve, which processes were important and how we were going to gain insight. Every IT implementation is intensive and pressurized but the positive communication between our companies overcame any issues and we are very happy how the process evolved in both a macro and micro perspective”. For the future Octo will be looking at RFID – “We are using barcode scanning at the moment” stated the COO, “ but the Internet of Things (IoT)- tracking – would make the supply chain super-efficient and enable us to share our data with our customer base. Access to our portal will be made available providing shipping information, order management and a simplified documentation flow. The result will be increased transparency for asset management throughout the supply chain - our goal would have been reached."